Tube ice is so called because of its beautiful cylindrical shape. It is the all-purpose ice for chilling and consumption, and is commonly used in kopi-tiams, restaurants, pubs, home parties & barbeques! Iceman’s tube ice is available in all sizes – baby tube and big tube, conveniently packaged into 18kg packs. 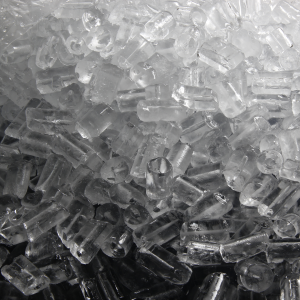 Iceman’s tube Ice is manufactured and packaged under HACCP and ISO 9002 standards. Through regular lab testing and analysis, Iceman ensures only ice that meets the strictest food safety standards reaches your cup. Iceman delivers tube ice to all locations in Singapore, 24 hours a day, 7 days a week. Are you opening a minimart or supermarket and looking to sell ice? Feel free to ask us about our 3 kg and 5 kg sizes for Big Tube specially manufactured for minimart and supermarket use.